Serenity is found on the wings of this Holy Spirit dove, which is perfectly captured in this Apples of Gold creation. 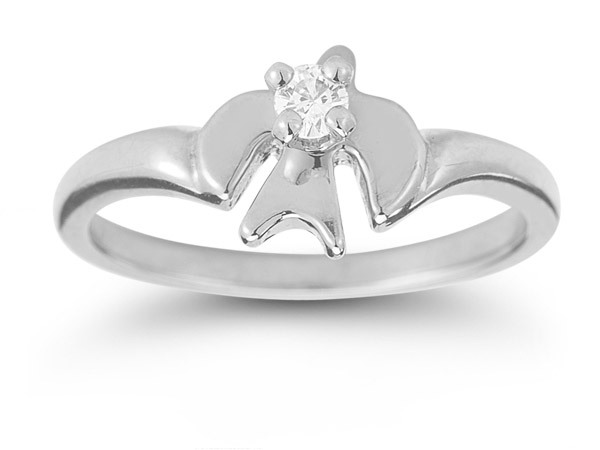 The ring's centerpiece, the dove, is carefully molded to depict a soaring bird, and this feature attracts even more attention with the sparkling white topaz stone resting in the center. The round cut white topaz is supported by the strength and beauty of sterling silver, which creates the dove and band foundation for this charming ring. We guarantee our Holy Spirit Dove White Topaz Ring in Sterling Silver to be high quality, authentic jewelry, as described above.